Each year we record multiple MicrobeTV podcasts episodes before audiences. Below is a schedule of upcoming live appearances should you wish to attend. 15 June 2018 TWiV at the Canadian Society for Virology meeting, Halifax, Nova Scotia. 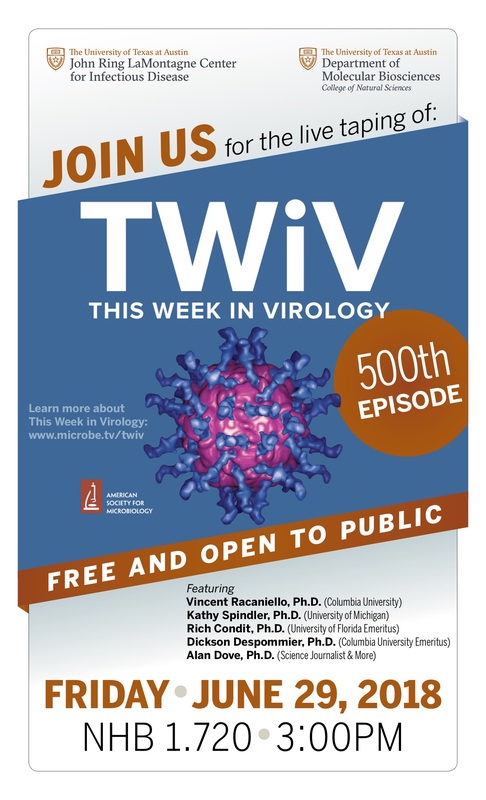 28 June 2018 TWiV at Texas A&M University, details here.